Description: Workers prepare to attempt to salvage a piece of submerged lumber out of the Mekong. The family owned shipyard is one of seven major boat repair facilities serving the Mekong transport vessels outside the city of Ben Tre. 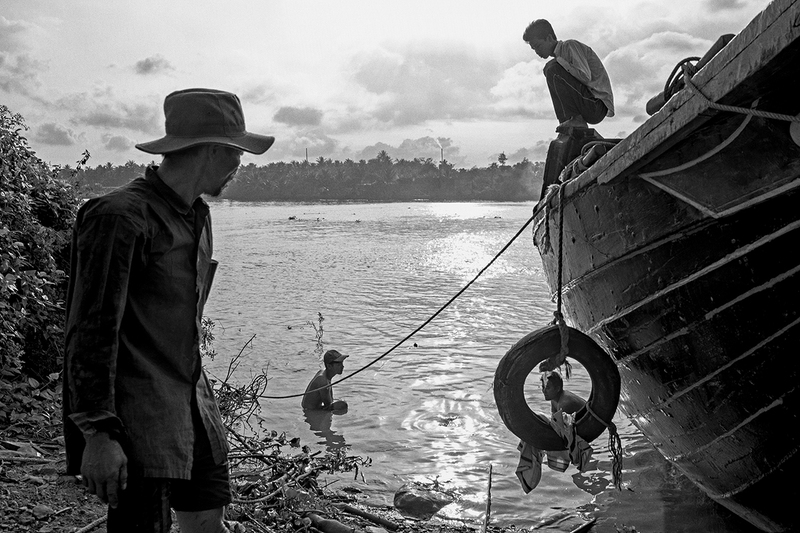 Caption: Workers prepare to attempt to salavge a piece of submerged lumber out of the Mekong. The family owned shipyard is one of seven major boat repair facilities serving the Mekong transport vessels outside the city of Ben Tre.